The Sandridge Railway Line Bridge was the third successive bridge at this location to carry the rail link from Flinders Street Station to Port Melbourne and St Kilda. The bridge is on the line of the original Hobson's Bay Railway Company line to Sandridge, the first passenger railway line in Australia in 1854. The bridge was designed by the Victorian Railways Department and the contract let to David Munro & Co in 1886. It is a metal girder bridge with five spans totalling 178m and with a maximum span of 36.9m. The four railway lines were opened for railway traffic in 1888. 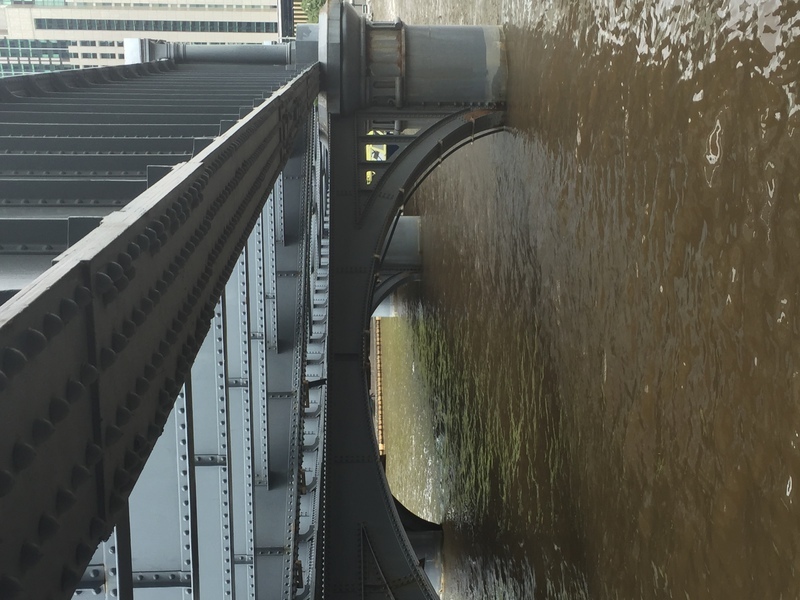 The Sandridge Railway Line Bridge is constructed from steel with hollow iron columns filled with concrete to support the plate girders and cross girders. 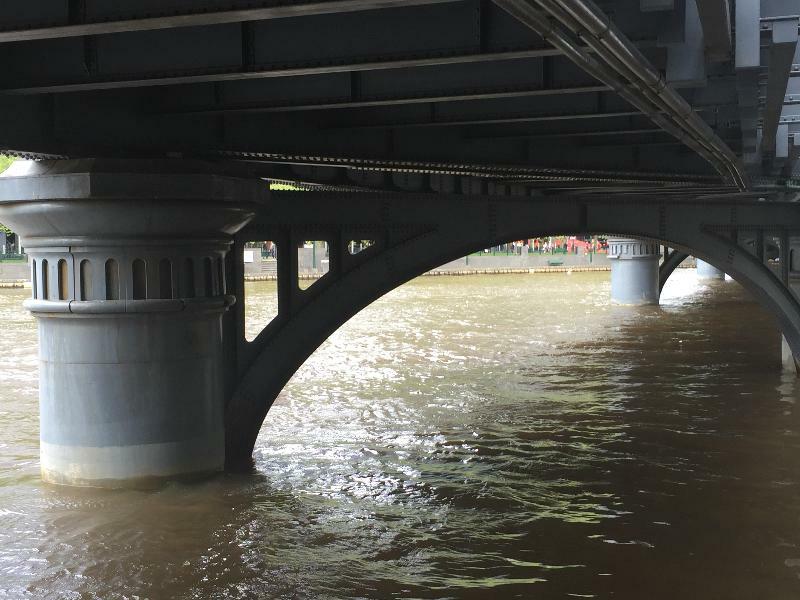 The columns, set parallel to the stream flow in groups of three, were intended to reduce the impact of flooding. 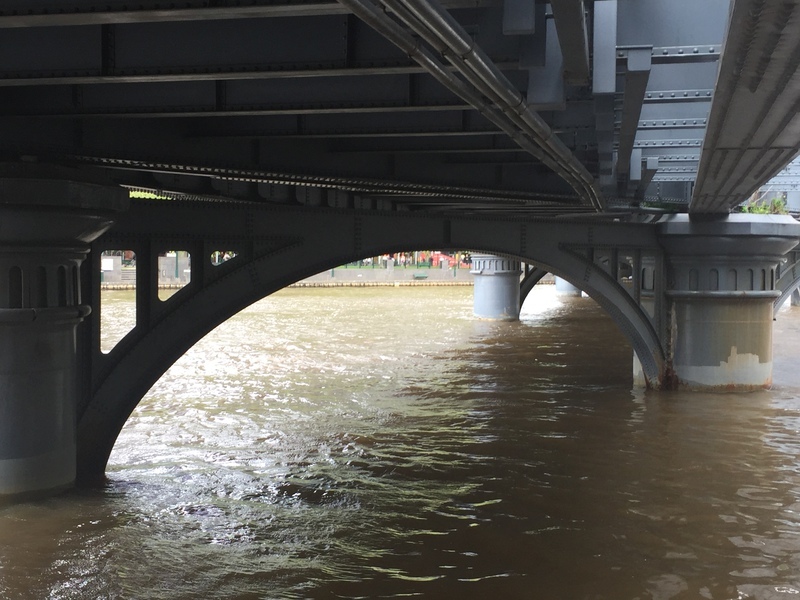 On either side of the river the steel girders are supported by bluestone and brick buttresses. On the south side the structure is continued as a brickwork viaduct. 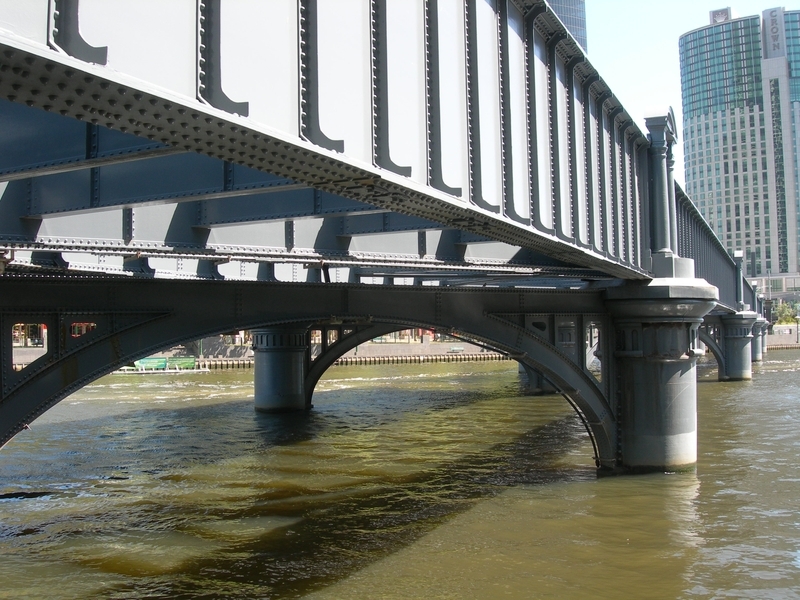 The location of the Flinders Street Station, the widening of the river and the great strength of its all-metal construction resulted in the unusual slanted angle of the bridge across the river, with the tracks at an angle of about 33 degrees to the stream flow. In 1925 overhead electrical masts were added and the original timber deck was replaced with rail and concrete slabs. The bridge is no longer used. The Sandridge Railway Line Bridge is of historical, technical and architectural significance to the State of Victoria. 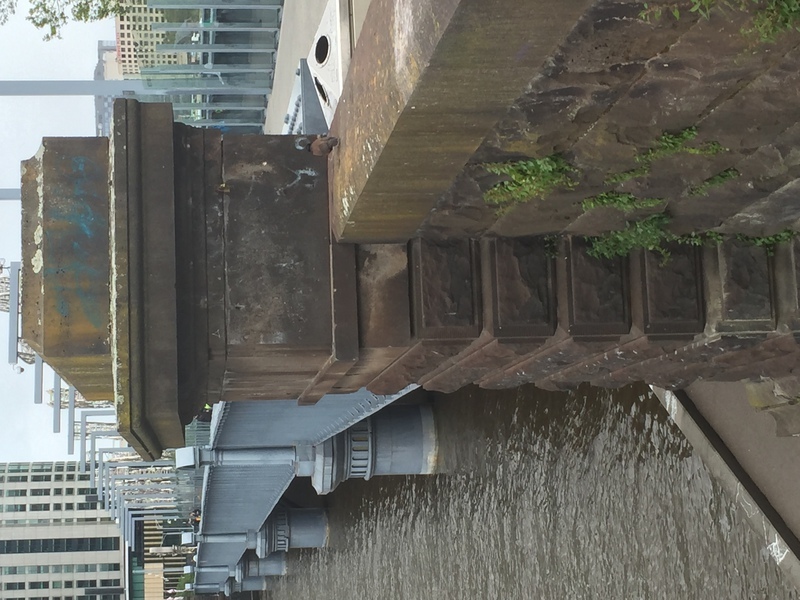 The Sandridge Railway Line Bridge is historically significant as a surviving link across the River Yarra of Australia's first passenger railway line. The bridge has a strong historical association with the Port Melbourne and St Kilda railway lines which played a vital role in the development of Melbourne as a great commercial city of the nineteenth century. Each of these two lines was provided with twin tracks, making the bridge the first railway bridge in Victoria with more than two tracks. 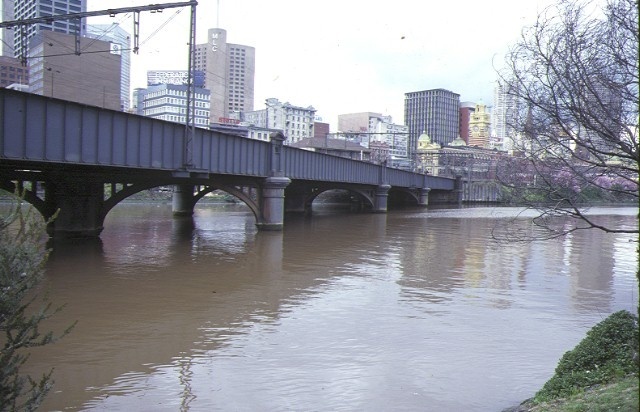 The bridge played a significant role in linking both port and recreational facilities with the city, facilitating the economic, suburban and demographic development of Melbourne. 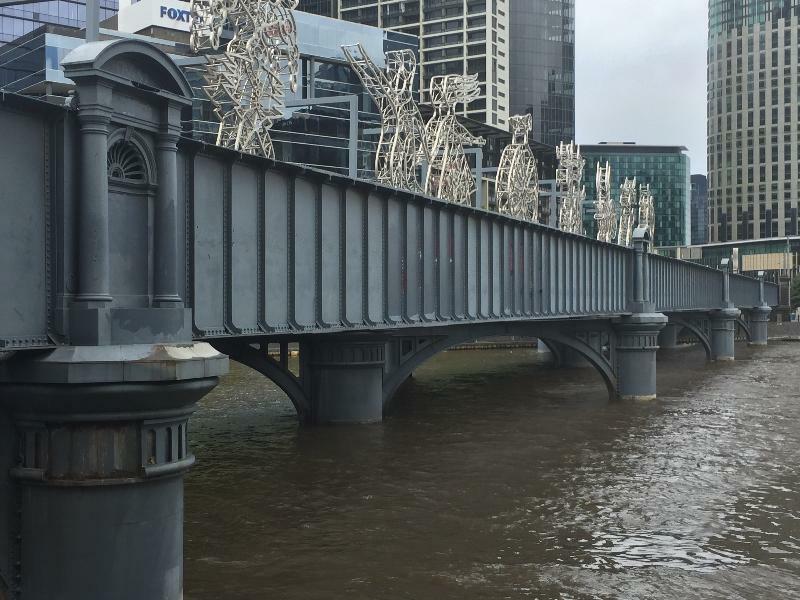 It is also historically significant as a notable example of the work of engineer, speculator and contractor David Munro, whose other work included Queens Bridge and Princes Bridge. The Sandridge Railway Line Bridge is technically significant as possibly the earliest example of the use of steel bridge girders on the Victorian railway system. The columns, innovative in construction design, are similar in design to Queens Bridge. The bridge is of considerable size, both in terms of its maximum span and its length. Its maximum span is among the ten longest metal girder bridge spans in Australia. 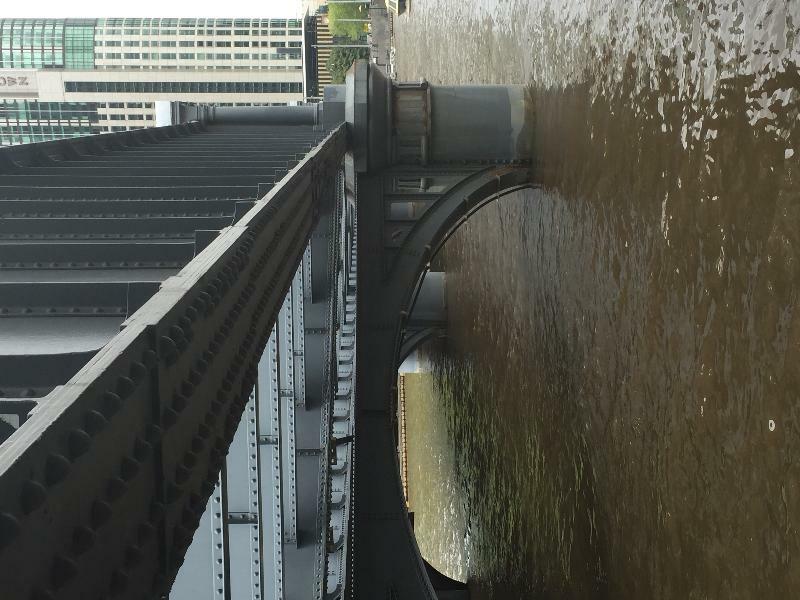 The bridge is also an unusual example of bridge design for its skewed angle over the River Yarra. The Sandridge Railway Line Bridge is architecturally significant as an essentially intact and rare example of a building type, and as the only known example of a railway bridge in Victoria carrying substantial ornamentation. The bridge demonstrates a notable application of classical decorative schemes in its piers, columns, pediments, fanlight motifs and arched braces across the piers. 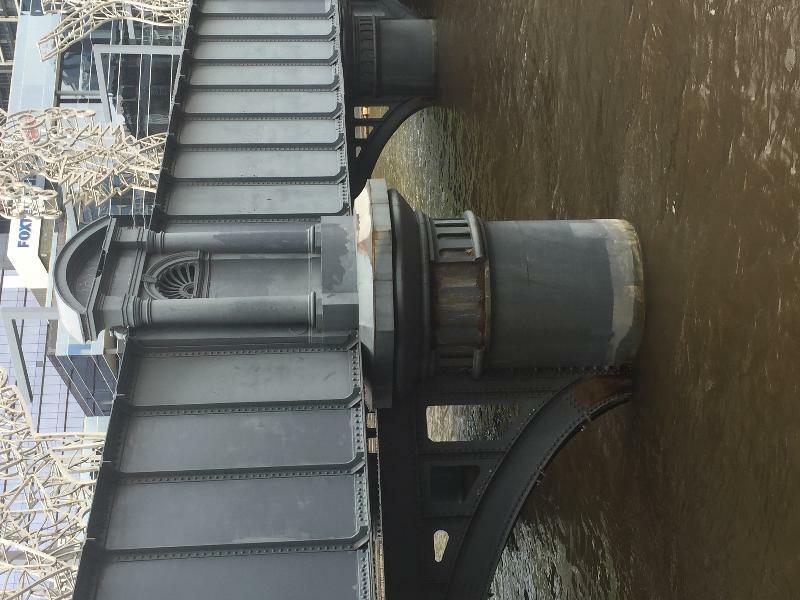 Former Sandridge Railway Bridge, Spanning the Yarra River, City of Melbourne and City of South Melbourne. By the late 1830s the landing at Sandridge had become a popular alternative to the Williamstown anchorage and a plan was proposed by Robert Hoddle in 1839 to include a railway from Sandridge to the settlement in Melbourne. The scheme did not come to fruition until the Melbourne and Hobson’s Bay Railway Co. was formed and the first passenger railway in Australia was opened in 1854. 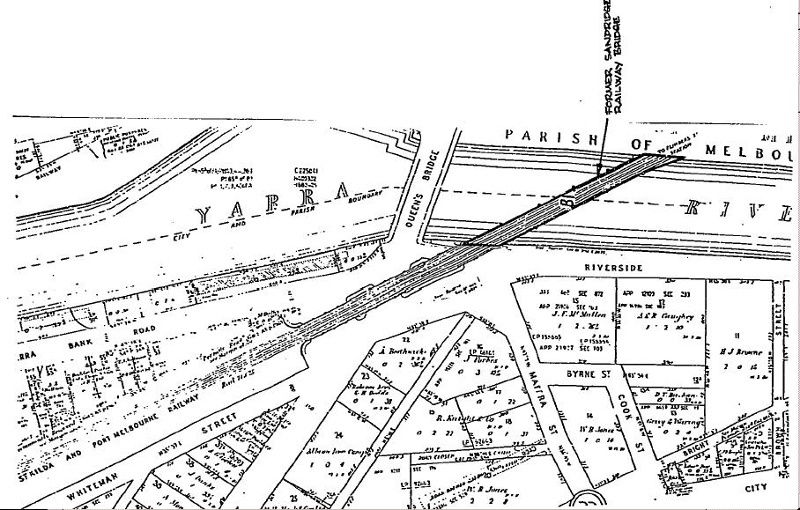 The important role of the Port Melbourne line for goods traffic began to decline in the 1890s following the opening of the Coode Canal and the Victoria Docks. The decline was offset partly by the increasing popularity of paddle steamers from the railway pier. The railway continued to handle goods until around 1930. David Munro, Contractor, (1844 -98) Engineer, speculator, contractor, born in Scotland, came to Victoria in 1854. He worked with his father, John Munro, a blacksmith and contractor, in King Street, Melbourne. Following his father’s insolvency, Munro started his own engineering and machinery supply business. During the construction and railway boom of the 1870s and 1880s David Munro and Co. was one of the colony’s biggest employers of labour. 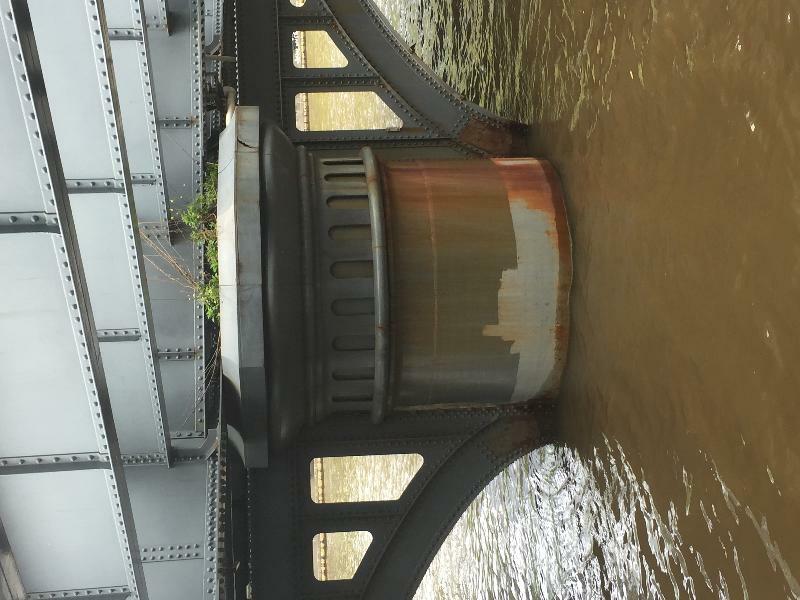 They built the new Prince’s Bridge in 1890 for 45,000 pounds. Other railway contracts included the Fitzroy-Whittlesea Line for 100 000 pounds and the Frankston-Crib Point Line for 53 000 pounds. Munro was president of the Chamber of Commerce. He was a brother of James Munro, the notorious land boomer and became involved in land speculation himself through his close links with Thomas Bent. Munro and Bent shared the construction of the Nepean Road tramway and were directors in the Brighton Gas Co. Ltd.
David Munro’s end was a tragic one. By 1889 he was in serious financial difficulties, which involved all members of his family. His losses on contracts amounted to 90 000 pounds. He and his wife moved from their mansion in Kooyong to a small cottage in Parkville where, in March 1898, Munro died of a haemorrhage and alcoholism.